© 2016 Klaus-Gerhard Heller, Horst Bohn, Fabian Haas, Fer Willemse, Yde de Jong. Fauna Europaea provides a public web-service with an index of scientific names (including important synonyms) of all extant European terrestrial and freshwater animals, their geographical distribution at the level of countries and major islands (west of the Urals and excluding the Caucasus region), and some additional information. The Fauna Europaea project comprises about 230,000 taxonomic names, including 130,000 accepted species and 14,000 accepted subspecies, which is much more than the originally projected number of 100,000 species. Fauna Europaea represents a huge effort by more than 400 contributing specialists throughout Europe and is a unique (standard) reference suitable for many users in science, government, industry, nature conservation and education. The “Orthopteroid orders“ is one of the 58 Fauna Europaea major taxonomic groups. It contains series of mostly well-known insect orders: Embiodea (webspinners), Dermaptera (earwigs), Phasmatodea (walking sticks), Orthoptera s.s. (grasshoppers, crickets, bush-crickets) and Dictyoptera with the suborders Mantodea (mantids), Blattaria (cockroaches) and Isoptera (termites). For the Orthopteroid orders, data from 35 families containing 1,371 species are included in this paper. In 1998 the European Commission published the European Community Biodiversity Strategy, providing a framework for development of Community policies and instruments in order to comply with the Convention on Biological Diversity. This Strategy recognises the current incomplete state of knowledge at all levels of biodiversity, a state which makes a successful implementation of the Convention difficult. Fauna Europaea was conceived to contribute to this Strategy by supporting one of the main themes: to identify and catalogue the components of European biodiversity, with the cataloguing implemented as a taxonomic and faunistic database serving as a basic tool for scientific documentation and discovery, environmental management, and conservation policies/priorities. With regard to biodiversity in Europe, science and policies depend on sufficient knowledge of the relevant components. The assessment of biodiversity, monitoring changes, sustainable exploitation of biodiversity, as well as much legislative work depend upon a validated taxonomic overview, in which Fauna Europaea plays a major role by providing a web-based information infrastructure with an index of scientific names (including the most important synonyms) of all living European multicellular terrestrial and freshwater animals, their geographical distribution at the level of countries and major islands, and some relevant additional information. In this sense, the Fauna Europaea database provides a unique reference for many user-groups such as scientists, governments, industries, conservation communities and educational programs. Fauna Europaea (FaEu) kicked off in 2000 as an EC-FP5 four-year project, delivering its first release in 2004 (Jong de et al. 2014). Fauna Europaea has continuously been updated, and after a further decade of steady progress, to efficiently disseminate the results of Fauna Europaea and to properly credit the Fauna Europaea contributors, modern e-publishing tools are being applied to prepare data papers on all 58 major taxonomic groups. For this purpose a special Biodiversity Data Journal Series has been compiled, called Contributions on Fauna Europaea (see also: Pensoft News item 17 Dec 2014). This work was initiated during the ViBRANT project and is further supported by the recently started EU BON project. In the EU BON project also further steps will be made to implement Fauna Europaea as a basic tool and standard reference for biodiversity research and as a means to facilitate taxonomic expertise evaluation and management in Europe, including its contributions to the European Taxonomic Backbone (PESI / EU-nomen) project (Jong de et al. 2015). 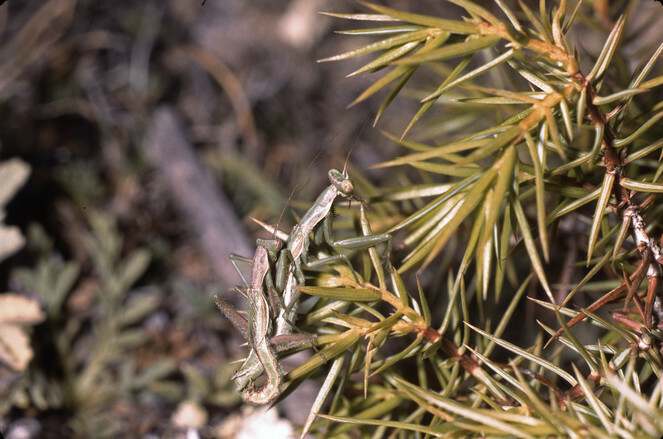 This paper is the first publication from the Fauna Europaea Orthopteroid Orders data sector as a BDJ data paper in the Fauna Europaea series. The paper is dedicated to Fer Willemse, prominent orthopterologist, respected member of our Fauna Europaea community and co-author of this paper, who passed away in 2009. Fauna Europaea is a database of the scientific names and distributions (at national or in some cases regional level) of all currently known extant multicellular European terrestrial and freshwater animal species. The database has been assembled by a large network of taxonomic specialists. An extended description of the Fauna Europaea project can be found in Jong de et al. (2014). A summary is given in the sections below. The Orthopteroid Orders is one of the 58 Fauna Europaea major taxonomic groups, covering 1,371 species. The data were acquired and checked by a network of 4 specialists (Tables 1, 2). Responsible specialists per family in Orthoptera. Responsible associated specialists in Orthoptera. Under the name “Orthopteroid orders“ in the wide sense as used here all orders (except Plecoptera: stoneflies) are combined which make up the group (superorder) Polyneoptera (e.g. Grimaldi and Engel 2004): Embiodea (webspinners), Dermaptera (earwigs), Phasmatodea (walking sticks), Orthoptera s.s. (grasshoppers, crickets, bush-crickets) and Dictyoptera with the suborders Mantodea (mantids), Blattaria (cockroaches) and Isoptera (termites), for which information can be easily obtained in the internet (e.g. wikipedia). A compilation of references, used for the preparation of the first version, is appended under 'Additional Information' below. This BDJ data paper includes the taxonomic indexing efforts in the Fauna Europaea on European Orthoptera covering the first two versions of Fauna Europaea worked (up to version 2.6). Taxonomic framework of Fauna Europaea includes partner institutes, which together with a number of local- and citizen scientists provide the taxonomic expertise and faunistic quality assurance and take care of data collation. Every taxonomic group is covered by at least one Group Coordinator responsible for the supervision and integrated input of taxonomic and occurrence data of a particular group. For Orthoptera the responsible Group Coordinators is Klaus-Gerhard Heller. The Fauna Europaea checklist would not have reached its current level of completion without the input from several groups of specialists. The formal responsibility of collating and delivering the data for relevant families has resided with the appointed Taxonomic Specialists (see Table 1). Associate Specialists deserve due credit for their important contributions at various levels, including particular geographic regions or (across) taxonomic groups (see Table 2). Data management tasks were taken care about by the Fauna Europaea project bureau. 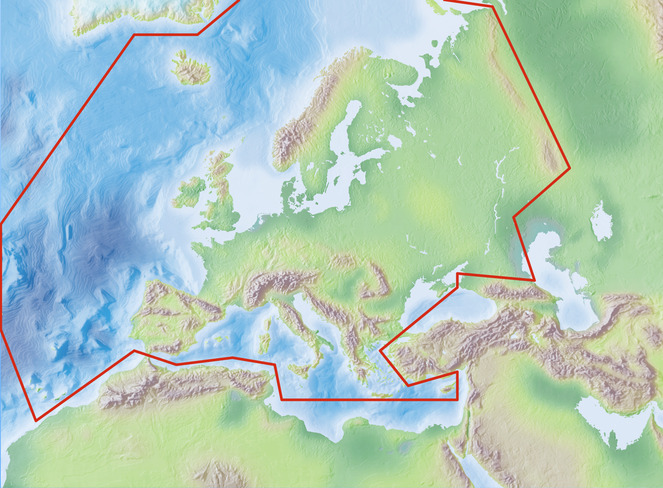 During the project phase (until 2004) a network of principal partners took care about diverse management tasks: Zoological Museum Amsterdam (general management & system development), Zoological Museum of Copenhagen (data collation), National Museum of Natural History in Paris (data validation) and Museum and Institute of Zoology in Warsaw (Newly Associated States [NAS] extension). From the formal termination of the project in 2004 to 2013, all tasks were taken over by the Zoological Museum Amsterdam. The study area covers the western Palaearctic, including the European mainland, Great Britain, the Macaronesian islands, Cyprus, Faroe Islands, Iceland, Svalbard, Franz Josef Land and Novaya Zemlya, but excluding (non-European) Turkey, the Caucasus, western Kazakhstan, the Arabian Peninsula and North Africa (Fig. 1). Fauna Europaea geographic coverage ('minimal Europe'). Standards. Group Coordinators and taxonomic specialists have been delivering the (sub)species names according to strict standards. The names provided by Fauna Europaea are scientific names. The taxonomic scope includes issues like, (1) the definition of criteria used to identify the accepted species-group taxa, (2) the hierarchy (classification scheme) for the accommodation of all accepted (sub)species, (3) relevant synonyms, and (4) the correct nomenclature. The Fauna Europaea 'Guidelines for Group Coordinators and Taxonomic Specialists' (Suppl. material 1) include the standards, protocols, scope and geographical limits and provide the instructions for the more than 400 taxonomic specialists contributing to the project, following the provisions of the International Code of Zoological Nomenclature. Data management. The data records could either be entered offline into a preformatted MS-Excel worksheet or directly into the Fauna Europaea transaction database using an online browser interface (Fig. 2). The data servers were hosted at the Academic Informatics Center of the University of Amsterdam (SARA/Vancis). Since 2013 the data servers are hosted at the Museum für Naturkunde in Berlin, and a new data entry (update) tool is under development. Fauna Europaea on-line (browser interfaces) and off-line (spreadsheets) data entry tools. Data set. The Fauna Europaea basic data set consists of: accepted (sub)species names (including authorship), synonym names (including authorship), a taxonomic hierarchy / classification, misapplied names (including misspellings and alternative taxonomic views), homonym annotations, expert details, European distribution (at country level or major islands), global distribution (only for European species), taxonomic reference (optional), occurrence reference (optional). Fauna Europaea was funded by the European Commission under the Fifth Framework Programme and contributed to the Support for Research Infrastructures work programme with Thematic Priority Biodiversity (EVR1-1999-20001) for a period of four years (1 March 2000 – 1 March 2004), including a short 'NAS extension', allowing EU candidate accession countries to participate. Follow-up support was given by the EC-FP5 EuroCAT project (EVR1-CT-2002-20011), by the EC-FP6 ENBI project (EVK2-CT-2002-20020), by the EC-FP6 EDIT project (GCE 018340), by the EC-FP7 PESI project (RI-223806) and by the EC-FP7 ViBRANT project (RI-261532). Continued management and hosting of the Fauna Europaea services was supported by the University of Amsterdam (Zoological Museum Amsterdam) and SARA/Vancis. Recently, the hosting of Fauna Europaea was taken over by the Museum für Naturkunde in Berlin, supported by the EC-FP7 EU BON project (grant agreement ENV-308454). Additional support for preparing the Orthoptera data set was received through the numerous institutions allowing for the proper allocation of time by the contributing taxonomic specialists. See spatial coverage and geographic coverage descriptions. Fauna Europaea data have been assembled by principal taxonomic experts, based on their individual expertise, which includes literature study, collection research, and field observations. 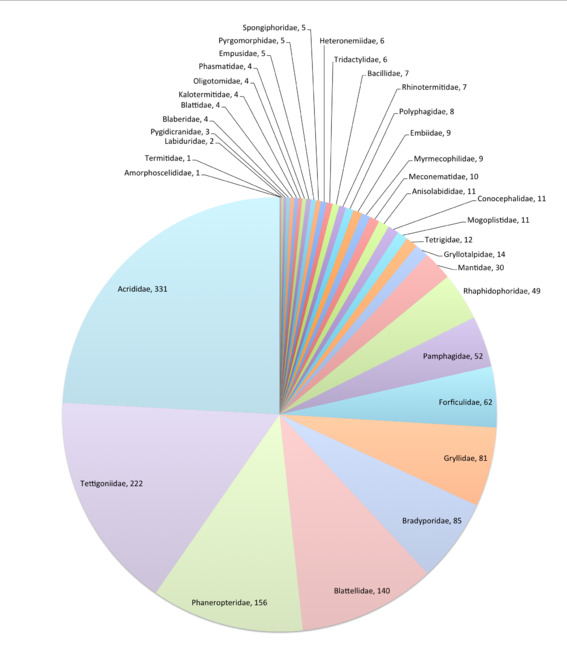 In total 476 taxonomic specialists contributed taxonomic and/or faunistic information for Fauna Europaea. The vast majority of the experts are from Europe (including EU non-member states). As a unique feature, Fauna Europaea funds were set aside for paying/compensating for the work of taxonomic specialists and Group Coordinators (around five Euro per species). 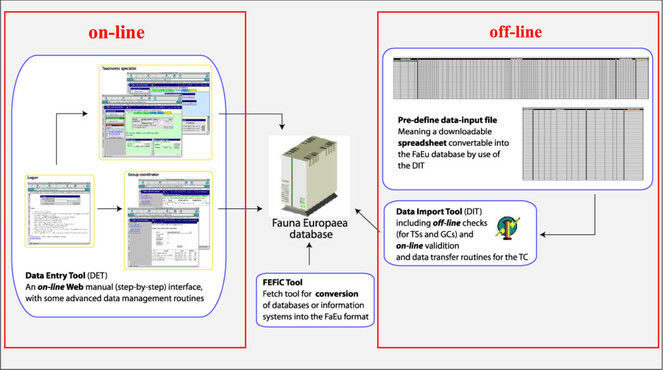 To facilitate data transfer and data import, sophisticated on-line (web interfaces) and off-line (spreadsheets) data-entry routines were built, well integrated within an underlying central Fauna Europaea transaction database (see Fig. 2). This includes advanced batch data import routines and utilities to display and monitor the data processing within the system. In retrospect, it seems that the off-line submission of data was probably the best for bulk import during the project phase, while the on-line tool was preferred to enter modifications in later versions. This system worked well until 2013, but will be replaced by a new system in 2016. A first release of the Fauna Europaea index via the web-portal has been presented at 27th of September 2004, whereas the most recent release (version 2.6.2) was launched at 29 August 2013. An overview of Fauna Europaea releases can be found here: http://www.faunaeur.org/about_fauna_versions.php. Fauna Europaea data are unique in the sense that they are fully expert based. Selecting leading experts for all groups provided a principal assurance of the systematic reliability and consistency of the Fauna Europaea data. Furthermore, all Fauna Europaea data sets are intensively reviewed at regional and thematic validation meetings, at review sessions on taxonomic symposia (for some groups), by Fauna Europaea Focal Points (during the FaEu-NAS and PESI projects) and by various end-users sending annotations using the web form at the web-portal. Additional validation on gaps and correct spellings was effected by the validation office the National Museum of Natural History in Paris. Checks on technical and logical correctness of the data were implemented by the data entry tools, including around 50 'Taxonomic Integrity Rules'. This validation tool proved to be of considerable value for both the taxonomic specialists and project management, and significantly contributed to the preparation of a remarkably clean and consistent data set. This thorough review procedure makes Fauna Europaea the most scrutinised data set in its domain. In general we expected to get taxonomic data for 99.3% of the known European fauna directly after the initial release of Fauna Europaea (Jong de et al. 2014). The faunistic coverage is not quite as good, but is nevertheless 90-95% of the total fauna. For the Orthoptera, the taxonomic completeness is difficult to estimate (see also Heller et al. 1998). The total number of existing Orthoptera species in Europe is supposed to be around 20% higher compared to the current knowledge level (see Table 1). To optimise the use and implementation of a uniform and correct nomenclature, a cross-referencing of the Fauna Europaea Orthopteroid data-set with relevant taxonomic resources is recommended, also supporting the global efforts on establishing a global taxonomic resolution service, provisionally called 'Global Names Architecture' (Pyle and Michel 2008, Jong de et al. 2015). Applicable nomenclature databases specifically dedicated to Orthopteroid species includes: Orthoptera Species File, Phasmida Species File Online, Dermaptera Species File, Cockroach Species File Online, Embioptera Species File Online, and Mantodea Species File Online. 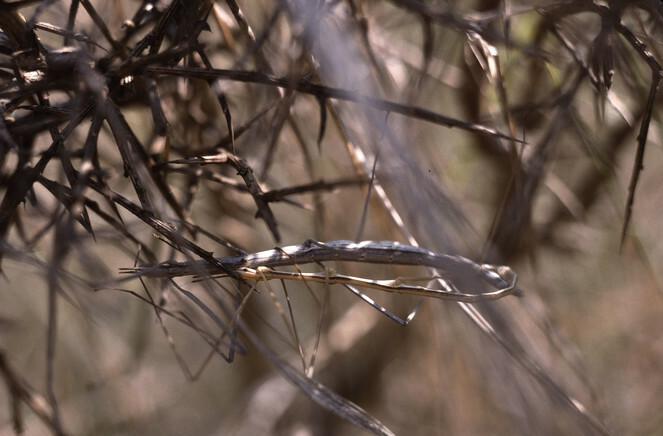 As a preparation, a semi-automatic validation on selected Orthopteroid species data files has been carried out, with help of the responsible curators, using the PESI Taxon Match Tool and LifeWatch Backbone services (Suppl. material 3). The results are cross-indexed with the Global Names Index and could be used to further integrate the Fauna Europaea and Orthopteroid species databases and web-services. By evaluating team structure and life cycle procedures (data-entry, validation, updating, etc. ), clear definitions of roles of users and user-groups according to the taxonomic framework were established, including ownership and read/write privileges, and and their changes during the project's life-cycle. In addition, guidelines on common data exchange formats and codes have been issued (see also Suppl. material 1). Species and subspecies distributions in Fauna Europaea are registered at least at the level of (political) country. For this purpose the FaEu geographical system basically follows the TDWG standards (see: Suppl. material 1). The area studied covers the western Palaearctic west of the Urals, including the European mainland, Great Britain, the Macaronesian islands, Cyprus, Faroe Islands, Iceland, Svalbard, Franz Josef Land and Novaya Zemlya, but excluding (non-European) Turkey, the Caucasus, western Kazakhstan, the Arabian Peninsula and North Africa (see Fig. 1). The focus is on species (or subspecies) of European multicellular animals of terrestrial and freshwater environments. Species in brackish waters, occupying the marine/freshwater or marine/terrestrial transition zones, are generally excluded. Mediterranean (N 35°) and Arctic Islands (N 82°) Latitude; Atlantic Ocean (Mid-Atlantic Ridge) (W 30°) and Ural (E 60°) Longitude. Order Dermaptera, Family Labiduridae, Labidura riparia (Pallas 1773). Location: Greece, river Tauropos between Arta and Karpenision. Photo by Klaus-Gerhard Heller. Order Dictyoptera, Suborder Mantodea, Family Mantidae, Pseudoyersinia paui (Bolivar 1898): Mating. Location: Spain, Bovalar near Morella. Photo by Klaus-Gerhard Heller. Order Orthoptera, Suborder Caelifera, Superfamily Acridoidea, Family Acrididae, Chorthippus lacustris La Greca & Messina 1975: Courtship. Location: Greece, Ioannina. Photo by Klaus-Gerhard Heller. Order Orthoptera, Suborder Ensifera, Superfamily Tettigonioidea, Family Tettigoniidae, Rhacocleis crypta F. Willemse & L. Willemse 2005. Location: Greece, Mount Gavrogo near Arta. Photo by Klaus-Gerhard Heller. Order Phasmatodea, Family Heteronemiidae, Pijnackeria lucianae Scali, Milani & Passamonti 2013: Mating. Location: Spain, Ibi near Alcoy. Photo by Klaus-Gerhard Heller. 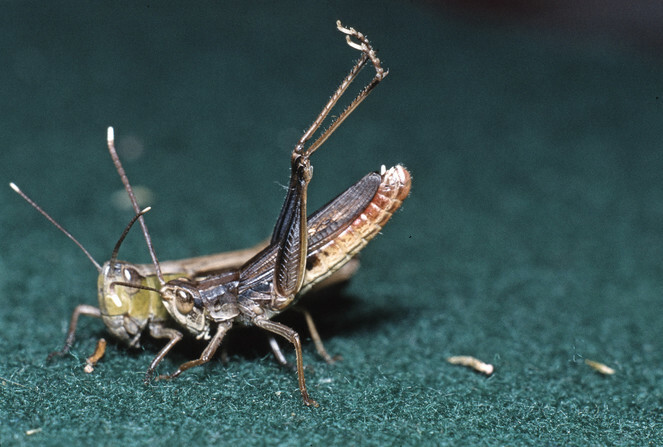 This data paper covers the Orthopteriod Orders content of Fauna Europaea, including 35 families, 1,371 species, 48 subspecies and 201 (sub)species synonyms (see Fig. 8). Higher ranks are given below, the species list can be downloaded (see: Data resources). 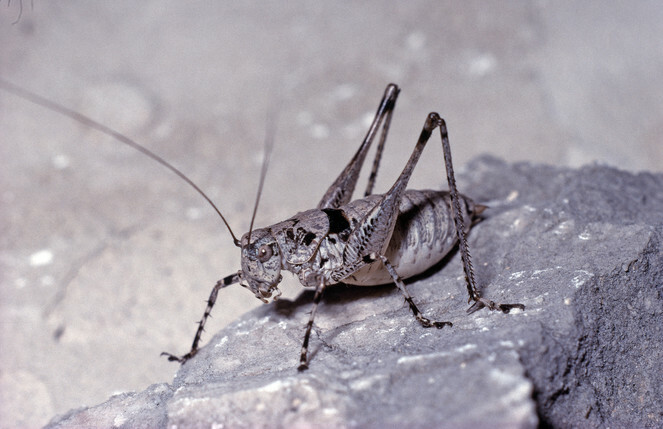 FaEu Orthoptera species per family. See Table 1 for family statistics. For full resolution see Suppl. material 2. 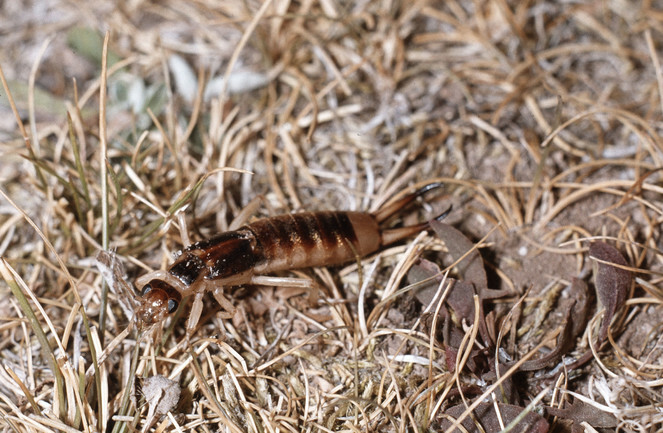 Further details on the Fauna Europaea Orthoptera classificationcan be found here: http://www.faunaeur.org/experts.php?id=55. Currently living animals in stable populations, largely excluding (1) rare/irregular immigrants, intruder or invader species, (2) accidental or deliberate releases of exotic (pet) species, (3) domesticated animals, (4) foreign species imported and released for bio-control or (5) foreign species largely confined to hothouses. Fauna Europaea data are licensed under CC BY SA version 4.0. The experts keep property rights over their data, initially covered under the FaEu/SMEBD conditions. For more copyrights and citation details see: http://www.faunaeur.org/copyright.php. For correct use and citing of the Orthopteroid data sets (Suppl. material 3), please check the relevant websites. datasetName The name identifying the data set from which the record was derived (http://rs.tdwg.org/dwc/terms/datasetName). version Release version of data set. versionIssued Issue data of data set version. rights Information about rights held in and over the resource (http://purl.org/dc/terms/rights). rightsHolder A person or organization owning or managing rights over the resource (http://purl.org/dc/terms/rightsHolder). accessRights Information about who can access the resource or an indication of its security status (http://purl.org/dc/terms/accessRights). taxonID An identifier for the set of taxon information (http://rs.tdwg.org/dwc/terms/taxonID). parentNameUsageID An identifier for the name usage of the direct parent taxon (in a classification) of the most specific element of the scientificName (http://rs.tdwg.org/dwc/terms/parentNameUsageID). scientificName The full scientific name, with authorship and date information if known (http://rs.tdwg.org/dwc/terms/scientificName). acceptedNameUsage The full name, with authorship and date information if known, of the currently valid (zoological) taxon (http://rs.tdwg.org/dwc/terms/acceptedNameUsage). originalNameUsage The original combination (genus and species group names), as firstly established under the rules of the associated nomenclaturalCode (http://rs.tdwg.org/dwc/terms/originalNameUsage). family The full scientific name of the family in which the taxon is classified (http://rs.tdwg.org/dwc/terms/family). familyNameId An identifier for the family name. genus The full scientific name of the genus in which the taxon is classified (http://rs.tdwg.org/dwc/terms/genus). subgenus The full scientific name of the subgenus in which the taxon is classified. Values include the genus to avoid homonym confusion (http://rs.tdwg.org/dwc/terms/subgenus). specificEpithet The name of the first or species epithet of the scientificName (http://rs.tdwg.org/dwc/terms/specificEpithet). infraspecificEpithet The name of the lowest or terminal infraspecific epithet of the scientificName, excluding any rank designation (http://rs.tdwg.org/dwc/terms/infraspecificEpithet). taxonRank The taxonomic rank of the most specific name in the scientificName (http://rs.tdwg.org/dwc/terms/infraspecificEpithet). scientificNameAuthorship The authorship information for the scientificName formatted according to the conventions of the applicable nomenclaturalCode (http://rs.tdwg.org/dwc/terms/scientificNameAuthorship). namePublishedInYear The four-digit year in which the scientificName was published (http://rs.tdwg.org/dwc/terms/namePublishedInYear). Brackets Annotation if authorship should be put between parentheses. nomenclaturalCode The nomenclatural code under which the scientificName is constructed (http://rs.tdwg.org/dwc/terms/nomenclaturalCode). taxonomicStatus The status of the use of the scientificName as a label for a taxon (http://rs.tdwg.org/dwc/terms/taxonomicStatus). resourceDescription An account of the resource, including a data-paper DOI (http://purl.org/dc/terms/description). taxonName The full scientific name of the higher-level taxon. For the first compilation of the list of European Orthoptera, Dermoptera, Dictyoptera (Blattaria, Isoptera, Mantodea), Embioptera and Phasmatodea, released at 27 September 2004, the following bibliographic references have mainly been used. We are very grateful for all help in the FaEu project provided by Dr. Ioana Chintauan-Marquier, Romania, Dragan Petrov Chobanov (Tschobanoff), Sofia, Bulgaria, Dr. Bernard Defaut, France, Stanislav Gomboc, Beltinci, Slovenia, Dr. Olga Korsunovskaya, Moscow, Russia, Dr. Anton Kristin. Zvolen, Slovakia, Michèle Lemonnier, France, Dr. Barnabas Nagy, Budapest, Hungaria, Gergely Szövenyi, Budapest, Hungaria, Dr. Varvara Yu. Vedenina, Moscow, Dr. Kirill Marc Orci, Budapest, Hungaria, Prof. Dr. Rustem Zhantiev, Moscow, Russia, and by the other participants at the SEE-OC meeting in Budapest 2002. For cross-referencing and validation, Orthopteroid species data sets have been made available by the various data custodians. We thank the involved team members, including Marilyn Beckman, David Eades, Edward Dewalt, Paul Brock, Heidi Hopkins, Mike Maehr, George Beccaloni, and Martin Stiewe, for their interest and collaboration. Stick Insects of Britain, Europe and the Mediterranean. Synopsis des orthopteres de France. Materiaux Entomocenotiques Special issue, 2nd edition. 1-87 Defaut, B 2001 [Taxonomic and nomenclatural update of "Synopsis des orthopteres de France".]. Actualisation taxonomique et nomenclaturale du "Synopsis des orthopteres de France"
Verzeichnis der Langfühlerschrecken (Ensifera) und Kurzfühlerschrecken (Caelifera) Deutschlands. Entomologische Nachrichten und Berichte. Beiheft 6. Dresden. A new Italian species of the genus Embia Latreillle, 1825 (Insecta Embiidina). Die Orthopteren Europas (Unterordnung Caelifera). The Orthoptera of Europe. – Vol. 2. Dr. W. Junk N. V.
Ankara Universitesi Fen Fakültesi Yayinlari 81 Zool. The grasshoppers and crickets of the Netherlands (Orthoptera). Chorthippus alticola Ramme und Ch. rammei Ebner (Orthoptera): Unterarten einer polytypischen Art! The orthopteroid insect fauna of the Aggtelek karst region (NE Hungary) referring to zoogeography and nature conservation. ZooBank: Developing a nomenclatural tool for unifying 250 years of biological information. The Songs of the Grasshoppers and Crickets of western Europe. Authors: Yde de Jong and Klaus-Gerhard Heller (Fauna Europaea), Marilyn Beckman, David Eades, and Edward Dewalt (Orthoptera Species File), Paul Brock (Phasmida Species File), Heidi Hopkins (Dermaptera Species File), and Mike Maehr (Embioptera Species File). Cross-validation of Fauna Europaea (version 2.6.2) and various Orthopteroid species data sets (version 5.0/5.0), including Orthoptera Species File (http://Orthoptera.SpeciesFile.org), Phasmida Species File (http://Phasmida.SpeciesFile.org), Dermaptera Species File (http://Dermaptera.SpeciesFile.org), and Embioptera Species File (http://Embioptera.SpeciesFile.org). For details on data ownership and correct citation please check the relevant websites.